GroupMe lets you effortlessly group text with the people in your life that are important to you. It’s your real-life network, in your pocket. It’s totally free and works on every phone. Beautylish was founded in February 2010 with the goal of improving the way women discover and learn about the beauty products they use everyday. SavingStar is the first national, fully digital, grocery eCoupon service, available for free at www.savingstar.com and on iPhone and Android mobile apps. There’s nothing to clip, nothing to print. Greplin is a personal search engine that allows you to search all your online data in one easy place. Greplin indexes the information you create on different websites (like Gmail, Twitter and Facebook) and provides lightning fast search of all your information. Our unwavering belief is that the core of healthcare is the interaction between a physician and a patient. Elation aims to dramatically improve the practice of medicine by becoming a powerful facilitator of that trusted relationship. Share your memories. Discover others. 1000memories gives you the power to record and share the life of a loved one, and discover the memories of others through our network. It’s free to use and saved here forever for future generations. Simple, fast, and powerful. Optimizely is a dramatically easier way for you to improve your website through A/B testing. Create an experiment in minutes with our easy-to-use visual interface with absolutely no coding or engineering required. Convert your website visitors into customers and earn more revenue today! Hipmunk is a remarkable new travel search site that aims to take the agony out of travel planning. We designed our site to help people who are overwhelmed with pages of irrelevant search results. Flight results are presented in a visual “timeline” that allows people to select the best flight for them at a glance. Hotel results are shown on a map so that people can view where in a destination they will be staying and the landmarks near them. At Hipmunk, we want to make your experience a lot better and put the fun back into travel planning. 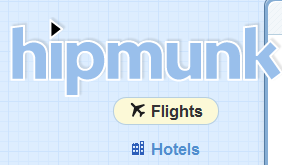 At Hipmunk, we want to make your experience a lot better and put the fun back into travel planning. You are currently browsing the Share Web 2.0 blog archives for June, 2011.